The GeoRiver software application has been designed for two types of user. The first is the river surveyor who captures vast amounts of position and height data within the river channel and flood plain. The second is the hydraulic engineer who uses the data to create a model of the watercourse to simulate its behaviour. GeoRiver automates the processing of raw survey data. The software helps reduce processing time, and exports quickly and easily to HEC-RAS, ISIS, TUFLOW, EACSD and MIKE11 formats, as well as DXF files to represent the river in CAD drawings. GeoRiver intends to close the gap between survey deliverables and working river models. It is a set of tools designed to greatly reduce the time it takes to create a hydraulic model that is ready to run. 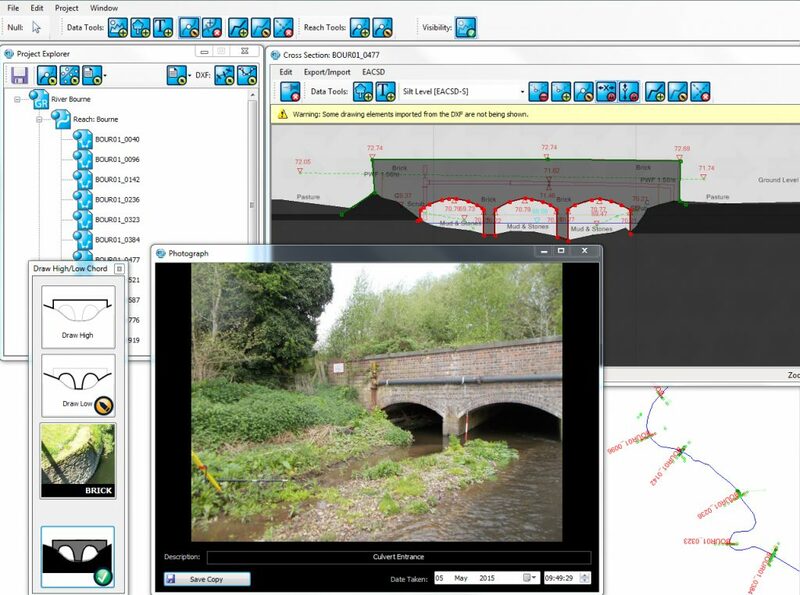 For hydraulic modellers, the ability to translate river survey data into the right input format is a great advantage. The modeller can verify the data, edit river cross-section features and geometry within the software, and then re-export to run in hydraulic model format. Ideas for future functions are welcome through the blog and will be reviewed and prioritised by the GeoRiver development team.